Those who don’t have a huge backyard tend to struggle when trying to find a good-sized pool that the whole family can swim and have fun in. 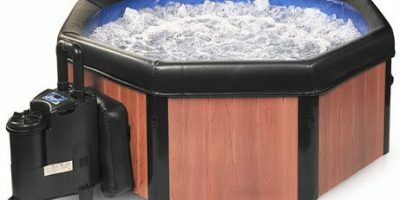 While there are lots of soft-sided pools to choose from, some may want something a bit sturdier and more durable to last them more than one summer. With this, a Prism Frame Pool Set by Intex is built to last to keep summertime going and to also give your yard a stylish contemporary look. 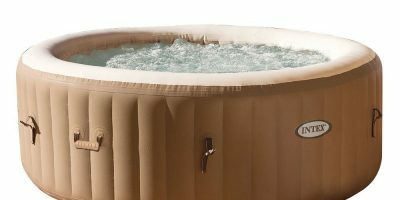 This pool model is inspired by Intex’s most top of the line Ultra Frame rectangular pools and it offers many of the same benefits but with smaller sizes and better affordability. 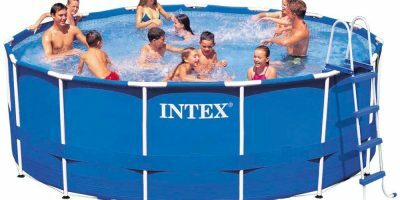 Because of their more practical sizes (16ft x 8ft x 42in being the smallest), you don’t have to worry about not having a big backyard for an Intex Prism Frame pool, and you can also choose a round shape rather than a rectangular one. 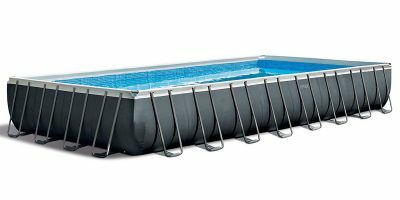 The strong powder-coated steel tubing and mosaic tile-printed inside liner increases the durability of the pool while the unique gray-blue color with a white trim gives a fresh modern look to compliment any backyard and patio furniture. 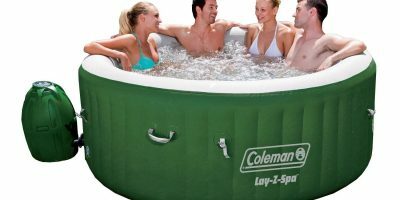 The pool comes with a 1,000 gallon cartridge filter pump that’s incorporated with Hydro Aeration Technology which improves circulation and filtration for better water quality and increased negative ions at the water surface. Draining the water is as easy as removing the drain plug that’s conveniently located at the bottom of the pool. 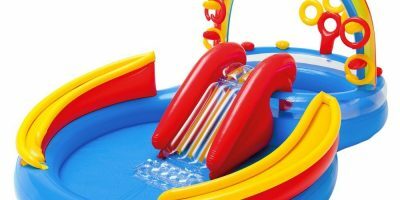 Along with the mentioned pump, the set also includes a ladder, ground cloth, and pool cover. Manufacturers say that it can be ready for the water in just 60 minutes after flattening out an area and assembling the frame, where the included setup and maintenance DVD can aid you with installation details. Although, it’s a good idea to call a friend or two over to help because the amount of parts can get overwhelming. Prices range from roughly $100 to about $800 depending on shape and size. You don’t have to worry about desperately making room for an Intex Prism Frame pool since its varied sizes are suitable for small to average backyards. 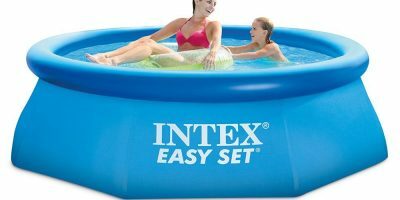 They’re sturdier than Intex Easy Set pools and they have a lot of the same perks you would get from an Intex Ultra Frame pool. 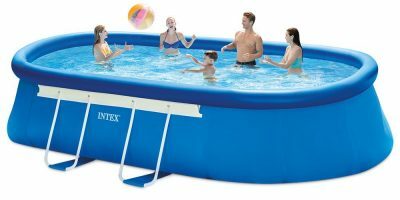 With its powder-coated steel tubing and resilient 3-ply PVC material, you and your family can enjoy several summers in this family-sized pool while adding a touch of style to your yard.